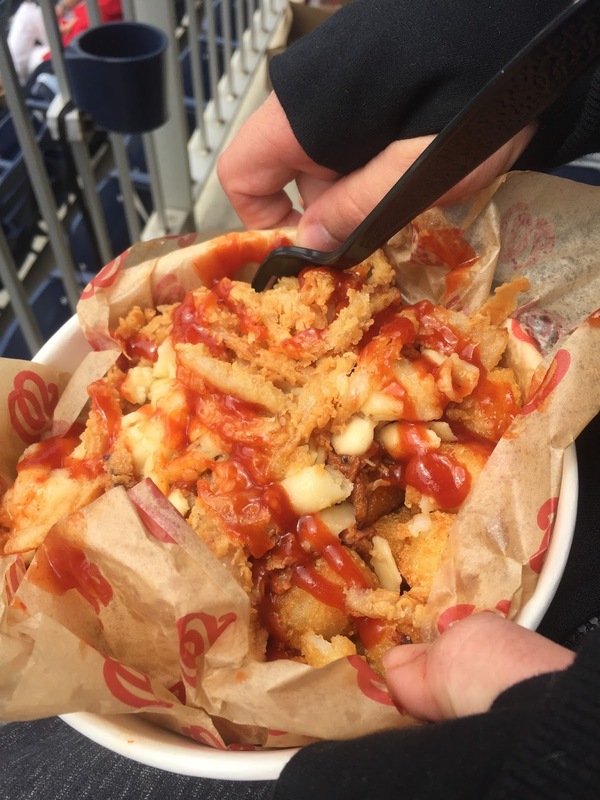 While Mik didn't so much enjoy watching his Dbacks lose to the Nats yesterday, he did enjoy the new loaded tots. He tried the BBQ pulled pork ones, which also has mac and cheese on them. 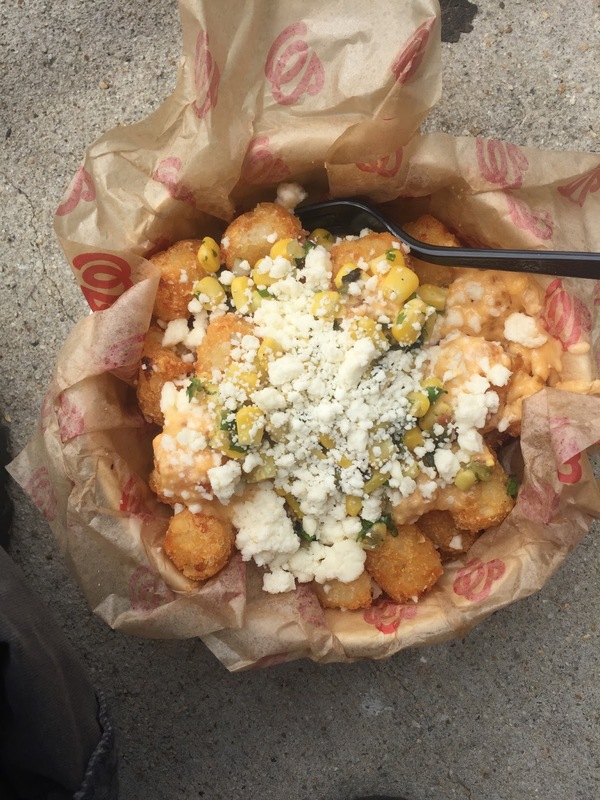 I had the crab ones, which were also tasty, but they didn't really seem loaded as the amount of topping to tot ratio is heavy on the tots.